This dress is a stunner! 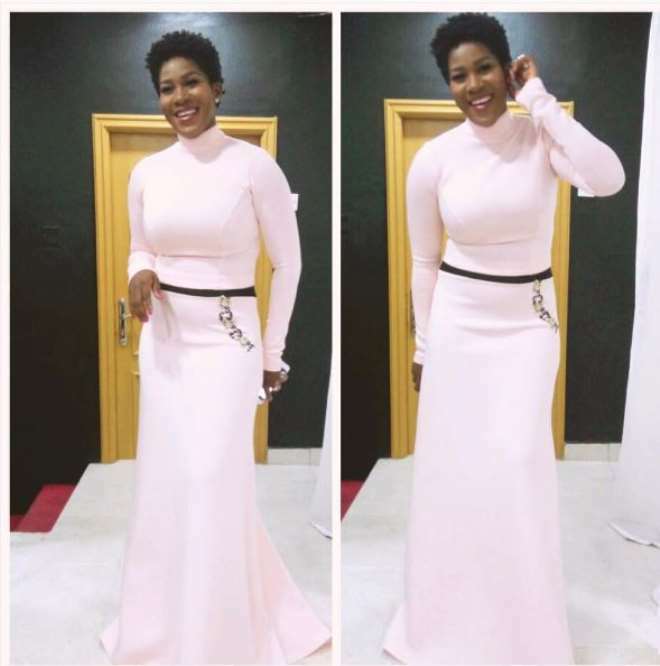 Stephanie Linus sure knows how to turn heads. Thanks to Agatha Moreno who made this pink dress for Stephanie. The fast rising fashion understands what it takes for someone like Stephanie who really wants to stand out during the premiere of Bloodlines on Thursday night. Stephanie has been supportive of made in Nigeria products which is the reason she is proudly flaunting most of them. Yehh! She is so pretty in soft pink and couldn't have worn it better.